Today’s photo is of four vending machines found next to a local train station. 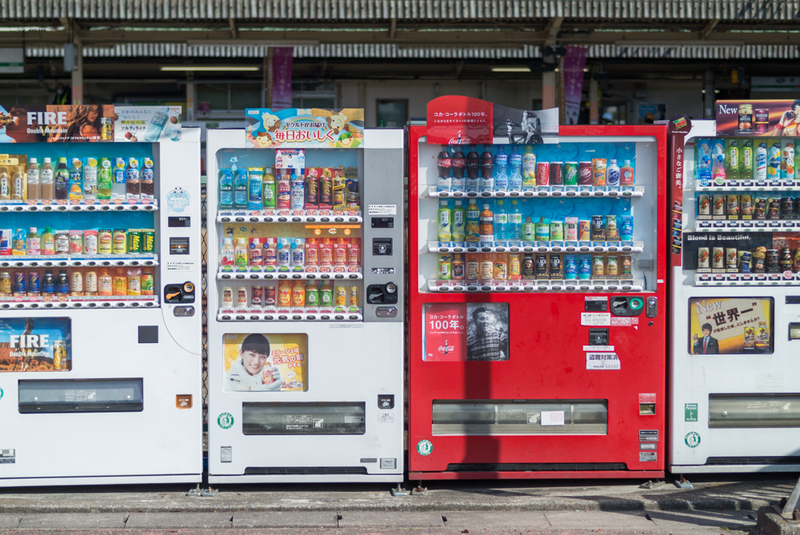 Many visitors to Japan are surprised by the number of vending machines that can be found here. They are ubiquitous, especially in central areas of cities. However, they can also be found in locations that are seemingly in the middle of nowhere. I think it’s rare to see vending machines outdoors in America, because some people would try to break into them to steal money, or vandalize them for fun. Vending machines in America are most often found indoors. Another thing that surprises many people, is that you can buy not only cold drinks, but also hot drinks, depending on the season. There are even some vending machines that offer wifi hotspots for passersby, and others that can recommend drinks to people by guessing their gender and age.